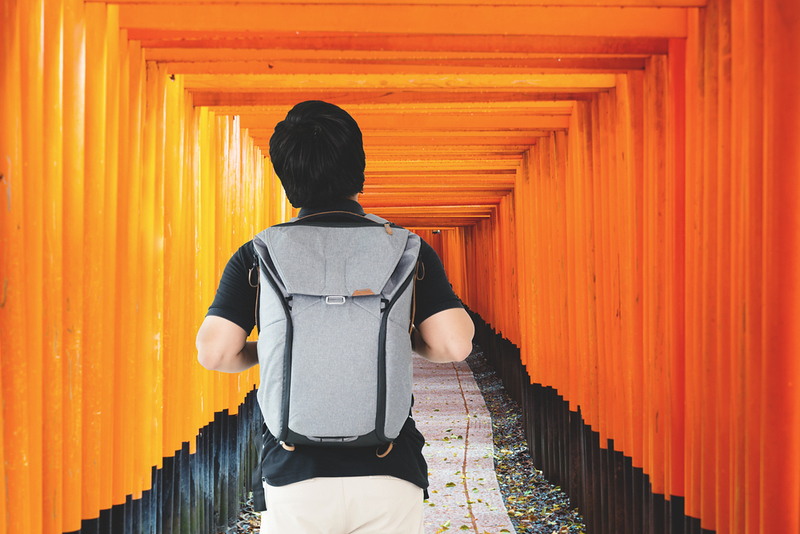 You can have a great time backpacking in Kyoto. Traveling on a budget doesn’t mean you’ll miss out on any of city’s major attractions. Indeed, you’ll be surprised at just how cheap Kyoto can be if you just do a little careful planning. If you’re careful about where you eat and sleep, then you can spend a week in Kyoto very cheaply. Keep two things in mind: 1) The yen is cheaper (weaker) than it’s been in 10 years, and 2) Kyoto is MUCH cheaper than Tokyo. Forget all the urban legends you’ve heard about some guy walking into a bar and paying US$1,000 for a bottle of beer. Japan is actually the cheapest country in the developed world. If you think I’m making this up, check out some actual facts and figures about Kyoto costs on my Chris Rowthorn Tours site. It’s perfectly possible to have a good time in Kyoto for about US$80 (Y9400) a day. You might be surprised to discover that it doesn’t have to cost an arm and a leg to fly to Japan. From North America, you can fly on Chinese and Korean airlines to Tokyo or Osaka with one stop en route for about US$800. From Europe, flying via the Middle East or other Asian countries can get you to Japan for around €550. From Australia, you can get flights for around AU$800. Flying from Southeast Asia will usually cost around US$400 and flying from Northeast Asia can cost as little as US$200. And, of course, if you’re in mainland China or Korea, you can take a ferry to Japan for less than US$100. Use a flight aggregator site like CheapFlights.com to find the cheapest flights. The site lets you quickly compare prices and flight timings across multiple airlines. What you get accommodation-wise for $100 a night in Kyoto is way better value than what you’d get in London, Paris or New York. To see what I mean, check out my Kyoto on $100 A Day page. Of course, for backpackers on a budget, $100 a night is still way too much. Kyoto’s excellent guesthouses and hostels are the answer. Check out places like K’s House Kyoto. Beds in these places are spotlessly clean and cost around US$25 (Y3,000) a night, sometimes less. See my Kyoto Hostels and Guesthouses page for details. 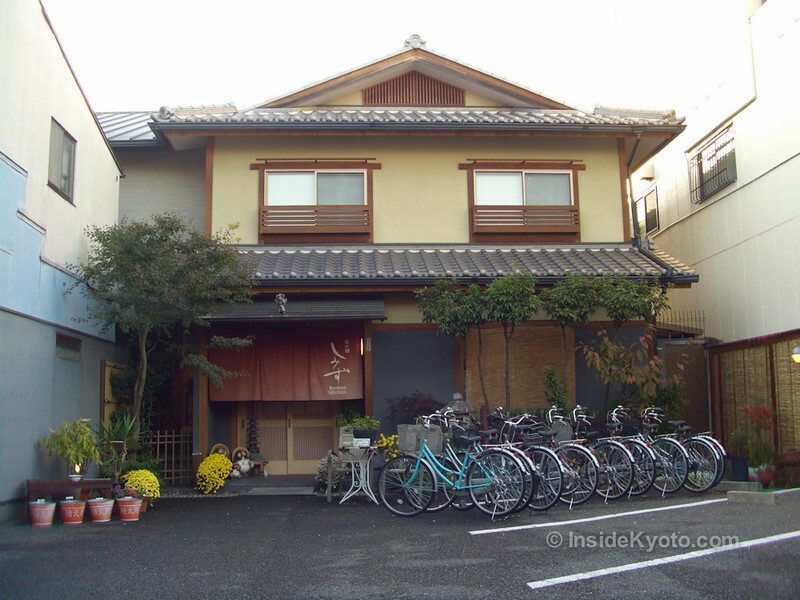 In addition to guesthouses, hostels and budget ryokan, Kyoto has tons of cheap hotels. And when I say cheap, I mean really cheap. And because we’re talking about Japan here, cheap does not mean run-down and dirty. In fact, you’ll be amazed at just how nice a room you can get for as little as US$50 a night in a Kyoto budget hotel like the Palace Side Hotel or the Toyoko Inn Kyoto Gojo-Karasuma. 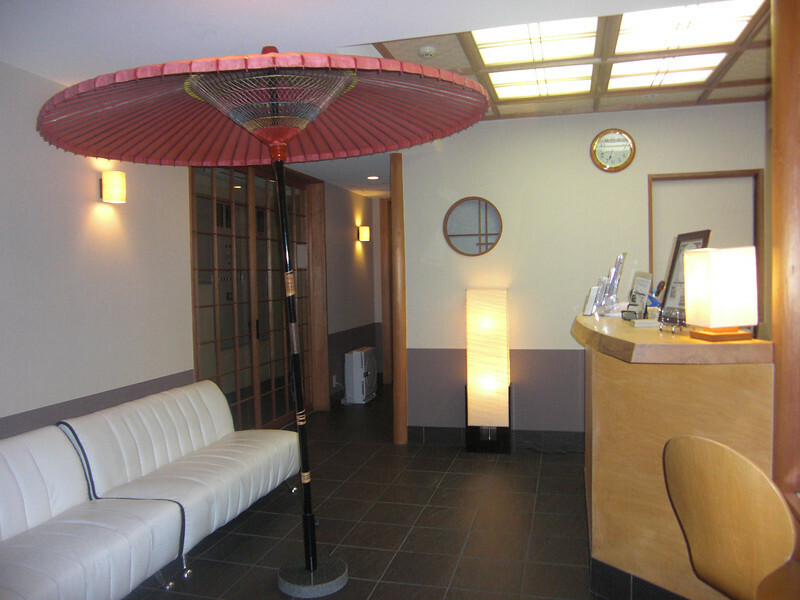 See my Best Budget Hotels in Kyoto page for more details. If you’re willing to spend just a bit more than at a guesthouse or hostel, you can try a night in one of Kyoto’s traditional ryokan. This “only in Japan” experience should not be missed, even if it’s just for one night. For details, see my Best Budget Ryokan in Kyoto page. Kyoto’s hostels and guesthouses are great places to meet other travelers (both Japanese and international). There is no better source of information on having a great time on a limited budget than other travelers. There are also plenty of bars in the Sanjo-Kiyamachi area where you can meet other travelers. OK, so you can’t dine at the haute cuisine places in Kyoto on a budget, but you can enjoy fantastic sushi at the Ganko Sanjo Honten, okonomiyaki at Nishiki Warai, ramen at Santouka or Ippudo, and healthy filling teishoku (set meals) at Ootoya. And if you want to go really cheap, you can get simple noodle meals at “tachi-kui” (stand-and-eat) restaurants for as little as Y300 (about US$2.50). See also What To Eat In Kyoto for a round up of all Kyoto’s local culinary delicacies and where to find them. If you take a look at my Kyoto One-Day Itinerary, you’ll see that there are 7 attractions in it that are completely free to visit. Almost all of Kyoto’s Shinto shrines are free to visit. The outer areas of most temples can also be visited for free (you usually only have to pay to enter the gardens and treasure halls). 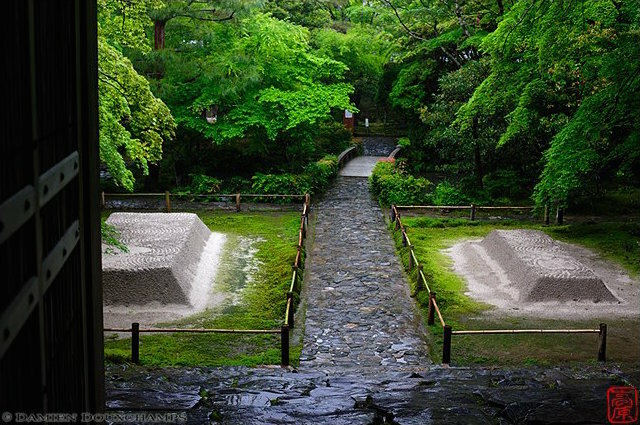 Likewise, the vast majority of Kyoto’s green spaces are free – for details see my Kyoto’s Best Green Spaces page. The fact is, if you felt like it, you could sightsee for a week in Kyoto and spend nothing on admission fees (and have a great time doing it). Sure, taxis are fairly expensive in Kyoto, but they’re probably cheaper than you’re used to back home (they’re certainly cheaper than the ones I’m used to in New York or London – and there’s no tipping). Of course, if you’re on a budget, you’ll probably want to avoid taxis. And that’s a good idea, because Kyoto is regularly voted the best bicycling city in Asia. You can rent a bicycle on your first day in town and spend not another yen on transport for the rest of your stay. For details, see my Cycling in Kyoto page. And, this being Japan, public transport is superb and cheap. See my Kyoto Buses, Kyoto Subways and Special Kyoto Bus, Train and Subway Passes pages for details. And finally, because Kyoto is relatively small and flat, it’s a great city for walking. You can even take a guided walking tour or simply do it yourself following a Kyoto walking itinerary. Some people believe that it’s hard to travel around Japan because of the language barrier. This is nonsense. Every year, millions of people explore Japan independently with no more Japanese vocabulary than “konnichiwa” (hello). There’s good English-language signage at airports, train stations and bus stops and other languages are popping up as well, including European languages, Chinese and Korean. Staff at your hostel will be able to help you with directions to places and general enquiries. And the Japanese you meet on the street might not speak perfect English, but you’ll find most of them incredibly kind and willing to help. Kyoto and Tokyo are Japan’s two main centers for travelers. And Kyoto is FAR cheaper than Tokyo. For this reason, it makes sense to use Kyoto as a base from which to explore Japan. A lot of Japan’s most important tourist sites are within a few hours’ travel of Kyoto, especially if you use the shinkansen (bullet trains). These include Hiroshima, Takayama, Nara, Osaka, Kobe and even Tokyo. Just buy a Japan Rail Pass and go.